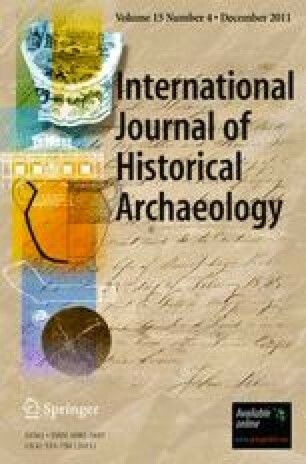 This paper looks at the recent archaeological evidence for industrial housing in Manchester, United Kingdom. The paper argues that a fragmented land-holding pattern developed in a number of city-centre areas during the second half of the eighteenth century. This land-holding pattern gave rise to overcrowding as a result of the domestic redevelopment of back yard plots and the conversion of older housing to tenements. This redevelopment was at its most acute during the peak decades of population growth in the city, 1800–40, and this led to the conditions of poverty, disease, and overcrowding recorded in contemporary accounts from the mid-nineteenth century. Much of the fieldwork mentioned in this article was undertaken by staff from the University of Manchester Archaeology Unit, in effect the city’s own field unit which functioned from 1994 to 2009. The resultant “grey literature” reports are now held by the Greater Manchester Archaeology Unit as County Archaeological Curator. Ian Miller of Oxford Archaeology North kindly supplied the photograph of the Angel Street/Blakeley Street excavations, English Heritage gave permission to reproduce the reconstruction of 66–77 Lever Street, and Terry Wyke of Manchester Metropolitan University gave permission to adapt the police districts map. My thanks go to every member of UMAU in recovering this important material. My thanks also go to Paul Belford, Marilyn Palmer, Norman Redhead, Jim Symonds and John Walker with whom I have debated the thrust of this “slum” argument for many years.